Lance Dunbar is a man who wears a lot of hats for the Cowboys. Through four games in 2015, Dunbar worked mostly as a pass-catching option out of the backfield and had 21 catches for 215 yards receiving before going down with what turned out to be a season-ending torn ACL on Sunday night. But he also got some carries (three for 54 yards against the Saints), and returned kicks and punts. Which is to say, his loss hurts the team in several different areas. "He's gotten more opportunities this year," Garrett said of Dunbar, per ESPN Dallas. "I think he just shows how versatile and productive a player he can be. You saw that last night, he ran the ball from the backfield, a big run early on in the ball game, he's shown he can catch the ball out of the backfield, he's shown he can line up as a receive and catch the ball and make plays. He's a good return guy. He's just one of those guys when the ball is in his hands he does a lot of positive things for your football team. He's a hell of a kid, and he's got a great future ahead of him. He's going to come back. He's going to handle it the right way. He'll be better than ever." 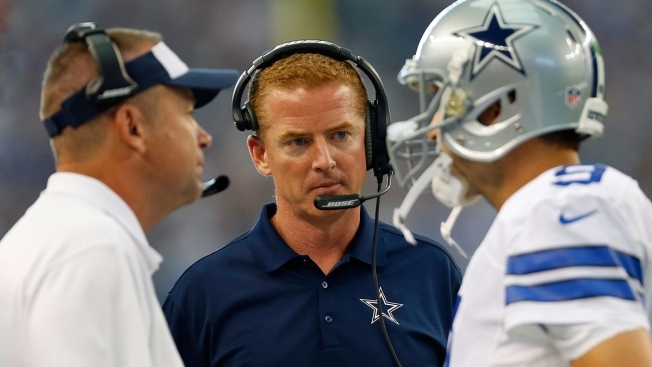 Where traversing this latest injury is concerned, Garrett was quick to put his faith in his staff, particularly offensive coordinator Scott Linehan--who, he says, is among the best there is at working with what he has, and making it work. 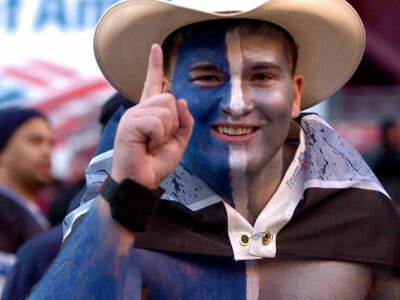 Blue Star Blog:Stay on top of the latest Dallas Cowboys news with NBCDFW.com. Follow NBC DFW on Facebook or have breaking Cowboys news sent directly to your phone with Blue Star SMS alerts. Text "bluestar" to 622339 (NBCDFW) to subscribe, text HELP for more info, and text STOP to end the subscription. Message and data rates may apply. Read more about it here.